LONDON, November 24, 2017 – Crude oil prices remained supported on Friday, amid ongoing optimism over the rebalancing of the market and as the partial closure of the a key North-American pipeline sparked supply disruption concerns. The U.S. West Texas Intermediate crude January contract was up 71 cents or about 1.22% at $58.73 a barrel by 09:50 a.m. ET (13:50 GMT), its highest since July 2015. Elsewhere, Brent oil for January delivery on the ICE Futures Exchange in London was steady at $63.55 a barrel. Trade volumes were expected to remain thin with U.S. markets open for only half a day on Friday after the Thanksgiving holiday on Thursday. Prices increased following news that an oil spill forced the partial closure of the Keystone pipeline connecting Canadian oilfields with the U.S. on Friday. The commodity was already supported after the EIA reported on Wednesday that crude oil inventories fell by 1.9 million barrels last week, marking the first decline in three weeks. That was compared with analysts’ expectations for a decline of 1.5 million barrels. Prices received an additional boost from growing signals that the Organization of Petroleum Exporting Countries (OPEC) and its allies will agree to prolong supply curbs beyond March when producers meet in Vienna next week. Top crude exporter Saudi Arabia is lobbying oil ministers to agree on a nine-month extension to OPEC-led supply cuts, sources familiar with the matter said, as Riyadh seeks to ensure a price-sapping glut is eradicated. OPEC, together with a group of non-OPEC producers led by Russia, has been restraining output since the start of this year in a bid to end a global supply overhang and prop up prices. The deal to curb output is due to expire in March 2018, but OPEC will meet on Nov. 30 to discuss the outlook for the policy. Elsewhere, gasoline futures were up 0.08% at $1.779 a gallon, while natural gas futures lost 2.49% to $2.894 per million British thermal units. This entry was tagged EIA, ICE Futures Exchange, North American Pipeline, OPEC, US West Texas Intermediate. Bookmark the permalink. Oil steadied on Wednesday as Chinese crude imports fell to a one-year low, but losses were offset by investor caution over rising political tensions in the Middle East. Traders said they were closely watching escalating tensions in the Middle East, especially between regional rivals Saudi Arabia and Iran. Brent futures were at $63.80 a barrel at 1005 GMT, up 11 cents, while U.S. West Texas Intermediate (WTI) futureswere down 8 cents at $57.12 a barrel. Brent crude hit $64.65 earlier this week, its highest since mid-2015, as political tensions in the Middle East escalated after a sweeping anti-corruption purge in top crude exporter Saudi Arabia, which in turn has confronted Iran over the conflict in Yemen. China’s October oil imports fell to just 7.3 million barrels per day from a near record-high of about 9 million bpd in September, according to data from the General Administration of Customs on Wednesday. That is the lowest level since October 2016, though imports were up 7.8 percent from a year ago. For next year, however, independent refiners are likely to boost their imports again as authorities on Wednesday raised the 2018 crude oil import quota by 55 percent over 2017 to 2.85 million bpd. The oil price has gained around 14 percent in the last month alone, propelled largely by evidence that OPEC’s efforts, together with those of its partners to curtail output, is helping erode a global overhang of unused crude. “Stronger oil fundamentals and investor inflows have been the catalyst for higher oil prices, but adding further support now is a focus on several geopolitical risks that have been looming over oil markets for a while,” said analysts at Citi. The Organization of the Petroleum Exporting Countries‘ 2017 World Oil Outlook showed the group predicts demand for its crude will rise more slowly than previously expected in the next two years, as higher prices from its supply policy stimulate output growth from rival producers. “The call on OPEC in 2019 envisaged by OPEC was reduced by 600,000 to a good 33 million bpd, and is expected to remain at roughly this level until 2025,” Commerzbank said in a note. This entry was tagged Brent futures, China's crude oil, Middle East, Oil, OPEC, US West Texas Intermediate. Bookmark the permalink. Oil prices were mixed on Wednesday, dampened by reports of rising U.S. crude stockpiles but retaining some of the gains made in the previous session after OPEC said it expected higher demand for its crude next year. U.S. West Texas Intermediate (WTI) was unchanged at $48.23 a barrel at around 0359 GMT after rising earlier in the day. The contract rose 0.3 percent on Tuesday. International benchmark Brent crude was down 13 cents, or 0.2 percent, at $54.14 a barrel, having settled up 0.8 percent in the previous session. The difference between Brent and WTI, known as the spread, rose by 11 cents to $5.41 in the favor of the global benchmark, as Hurricanes Harvey and Irma continued to impact demand for both crude and oil products in the U.S.
“The market is still trying to assess…the positioning on Brent and the positioning on WTIE and that’s reflected in the price spread,” said Virendra Chauhan, oil analyst at Energy Aspects in Singapore. Wednesday’s drop came after a rise the day before when the Organization of Petroleum Exporting Countries (OPEC) forecast higher demand for its oil in 2018 and pointed to signs of a tighter global market, indicating its production-cutting deal with non-member countries is helping to tackle a supply glut that has weighed on prices. Analysts have warned current U.S. stocks data may not give a full picture in coming weeks because of weather disruption, but industry group the American Petroleum Institute reported late on Tuesday that U.S. crude stockpiles rose nearly twice expected levels last week. Refineries cut output following Hurricane Harvey, while gasoline and distillate inventories fell. Crude inventories rose by 6.2 million barrels in the week to Sept. 8 to 468.8 million, nearly double analysts’ expectations of an increase of 3.2 million barrels. The U.S. Department of Energy’s Energy Information Administration (EIA)reports on stockpiles and refinery runs later on Wednesday. The EIA also said on Tuesday it had revised both its 2017 and 2018 oil production forecast figures lower to reflect, in part, the effects of Hurricane Harvey. The largest refinery in the United States, in Port Arthur Texas, was running at reduced rates, sources told Reuters. This entry was tagged brent crude, crude oil, crude oil prices, oil prices, US West Texas Intermediate. Bookmark the permalink. Hurricane Irma, a record Category 5 storm, is heading toward Florida. The U.S. oil benchmark closed at a four-week high Wednesday, reflecting concerns about a potential hit to production from Hurricane Irma as well as renewed demand for crude as Gulf Coast refineries previously shut down by Hurricane Harvey reopened. West Texas Intermediate U.S. crude oil for October CLV7, +0.22% rose 50 cents, or 1%, to close at $49.16 a barrel, the highest settlement since Aug.9. Brent crude LCOX7, +0.59% the global benchmark, gained 82 cents, or 1.5%, to end at $54.20 a barrel, its highest close since April 18. “Oil market participants have become used to tropical storms causing no lasting damage to the energy infrastructure. This may change now, prompting the market to price in something of an uncertainty premium. Many market participants viewed the latest fall in the WTI price as excessive in any case,” analysts at Commerzbank said in a note. The upswing in crude prices marked a swift reversal from last week, when prices had languished in the wake of Hurricane Harvey. The storm knocked out more than 20% of U.S. refining capacity, cutting demand for crude and weighing on prices. Refining capacity has since started to come back online, providing support for crude. That, however, is weighing on gasoline prices that rallied last week as refineries shut down and created a short-term shortage. Gasoline for October delivery RBV7, -0.60% fell 1.15 cents, or 0.7%, to $1.7595 a gallon. 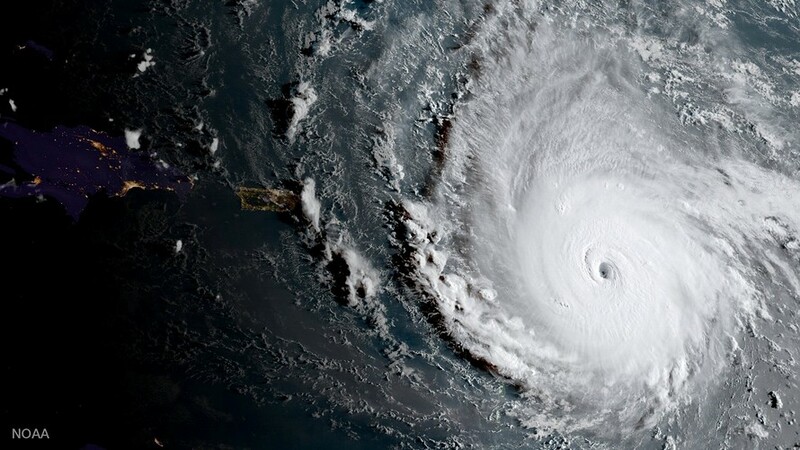 At the same time, the market is preparing for potential disruptions to oil production in the Gulf of Mexico as the result of Hurricane Irma, which made landfall in the Caribbean earlier on Wednesday, and other brewing storms. If crude output is hindered by the new storms it would boost prices, the analysts said. The Harvey-related refinery shutdowns are expected to have contributed to a build in crude-oil stocks and a fall in gasoline inventories when the Energy Information Administration provides its weekly update on Thursday morning. Analysts surveyed by S&P Global Platts produced a consensus forecast for a 2.7 million-barrel rise in crude stocks, while gasoline inventories are expected to fall 4.2 million barrels. The survey found distillate stocks are expected to drop 1.9 million barrels while refinery utilization is expected to show a sharp fall of 7 percentage points. In addition, inventories at Cushing, Okla., a storage hub that serves as the delivery point for Nymex crude futures, could see significant increases in the next few weeks as a result of Harvey, according to Geoffrey Craig, oil futures editor at S&P Global Platts. Ahead of the EIA data, the American Petroleum Institute, an industry trade group, will provide its weekly inventory figures late Wednesday. Oil prices also responded positively to suggestions Tuesday by the Russian energy minister, Alexander Novak, that Russia and Saudi Arabia would be open to extending their output cut agreement. “The strong cooperation of the leading oil producers in combating the ‘oil glut’ is making market participants hopeful that stocks may be quickly reduced, which is boosting the price rise,” the Commerzbank analysts said. The Organization of the Petroleum Exporting Countries — of which Saudi Arabia is the largest member — and 10 producers outside the cartel, including Russia, first agreed late last year to cap production at around 1.8 million barrels a day lower than peak Oct. 16 levels, with the aim of reining in the global oil glut and sending prices higher. The deal, which was extended in May until March 2018, has been undermined by falling compliance, growing U.S. output and an unexpected surge in production from Libya and Nigeria — two member states exempted from the agreement because their oil industries had been damaged by civil unrest. Analysts said they were looking ahead to official U.S. data this week on crude inventory levels, which have fallen consistently in recent months, while cautioning that the information was likely to be less reliable than usual as a result of Harvey. In other energy products, October natural gas NGV17, +0.60% rose 0.9% to end at $3 per million British thermal units. Heating oil futures HOV7, +0.05% rose 0.7%, to $1.7595 a gallon. —Sara Sjolin contributed to this article. This entry was tagged crude oil, crude oil prices, Oil Markets, US West Texas Intermediate, WTI futures. Bookmark the permalink.